The iconic Liverpool Wheelie Bin…but in miniature. The lid opens and there’s plenty of space inside to store pens, glasses, coins…or you could fill it with sweets, miniature bottles, flowers etc…the list is endless! 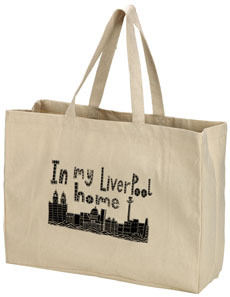 The Liverbird appears on the front with the slogan I’ve wheelie bin to Liverpool. Makes a great gift. Size 14cm high x 7cm wide.